Deep cultural change is needed in businesses to embrace inclusion but the all-round benefits have never been bigger. In today’s ever-changing digital landscape, a culture of innovation is something all organisations crave. We all want to be able to exploit the potential of new technology and harness the forces of disruption rather than be destroyed by them. All while cultivating a buzzing and dynamic working environment. My career in marketing and communications has been rich and diverse; in no small part thanks to the variety of creative skill sets I have had the privilege of working with. I’ve witnessed huge variety in ways of working across different countries and cultures. My experiences have driven home what truly allows innovation to thrive: inclusion. It’s a term that’s often used interchangeably with diversity, but the difference between the two is significant. Diversity recognises and appreciates what makes us different, whether that’s our gender, ethnicity, age, sexual orientation or religion. Intuitively, we know that diversity matters, and that promoting it feels like the right thing to do – both on a personal and professional level. Having a diverse workforce, with diverse teams involved in the decision-making, makes great business sense, with plenty of evidence to show it provides a competitive advantage. To name one study, McKinsey examined the financial results of 366 companies in North and Latin America and the UK. It found that companies in the top quartile for gender diversity were 15 per cent more likely to have stronger financial returns, and those in the top quartile for racial and ethnic diversity were 35 per cent more likely to outperform. Diversity brings fresh ideas and perspectives to organisations. There’s a very clear link between diversity, innovation and creativity. I’ve witnessed this first-hand, particularly within the advertising world. Throughout my career in the advertising industry, I’ve seen businesses gradually realise that to really connect with a diverse customer base, and craft campaigns that are reflective of our society, diverse teams are the magic ingredient. There are also risks in having a lack of diversity, when companies don’t represent their customer base or understand the societies in which they operate. Think about Silicon Valley, a hotbed for technological change. US Equal Employment Opportunity Commission data shows that only 2.6 per cent of those who work in Silicon Valley are black, compared with 14.5 per cent in the total US private sector. The Google staff walkout over the treatment of women was a good example of employee power and the clear desire that exists for change, but this has to be driven from the top. If tech giants had more representative workforces, questioning decisions, behaviour, and every change to the algorithm, how many of the problems faced by our society could have been avoided? That being said, diversity in isolation won’t positively influence decisions or business performance unless there’s a culture of including diverse voices in the decision-making. This is the power of inclusion. Inclusion is ensuring people feel welcome; giving them the confidence to speak; listening to what they say; valuing and respecting their contribution. People working in an inclusive workplace culture experience a sense of belonging – they feel they’re not only part of the mission but also essential to its success. However, inclusion is not something that naturally follows diversity. It’s something that organisations must really work hard at. Deep cultural change is needed – and that requires leadership. Change must be driven from the top. And it takes time. We’re already seeing more creativity and innovation as a result of the changes we’ve made at Sky, and that will flow through to our customers, to our communities; but there is always more to do. To be completely inclusive, we must be completely representative. 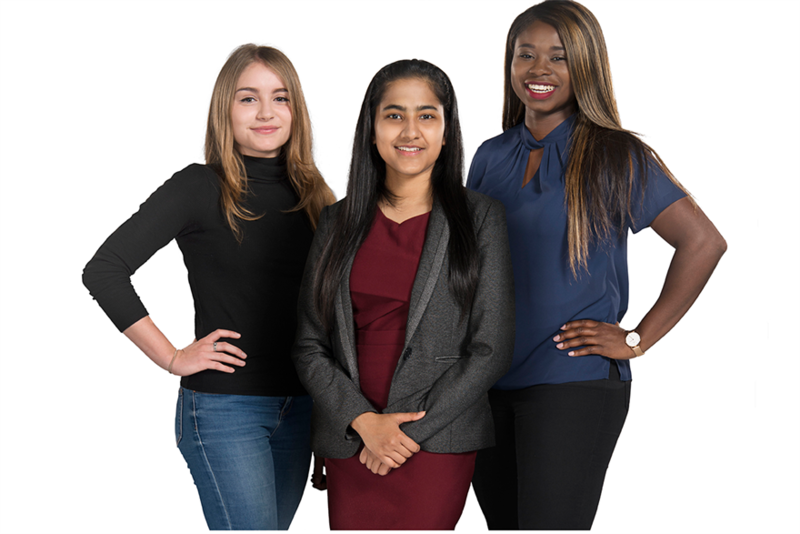 To achieve that at Sky, we have two specific objectives: increasing the representation of people from black, Asian and minority ethnic backgrounds; and becoming an employer of choice for women with a 50:50 gender-balanced leadership team. We have multiple initiatives in these areas, including core programmes aimed at tackling gender imbalance in technology. While women make up nearly half of the UK’s workforce, fewer than one in four jobs in science, technology, engineering and mathematics are held by women. We want to increase female representation across our technology departments, from 21 per cent currently to 30 per cent. To help meet this goal, we run Get into Tech; a free course which provides beginner-level training to women interested in pursuing a career in software development. Sessions are run in evenings and equip women with the technical skills needed to apply for a career in technology, for example building apps, websites, and learning the basics of software development. Women who start the course may have never written a single line of code before, but by their final session they are able to deliver an original software project as part of a team; 42 of these women now work for Sky as software developers. These are just a few tangible examples of the changes we are making, but the key change is to mindset, and we are still going through that process. We won’t be happy until Sky is recognised as an industry leader for inclusion, both on screen and behind the scenes. We’ve worked hard to build a culture that’s flexible, friendly and welcoming – now we need to help our colleagues feel confident enough to share their ideas and challenge each other’s thinking. When it comes to diversity and inclusion, every business can innovate for a positive change. We’re trying at Sky, and I know many other businesses are driving for change too, but there’s so much more that needs to be done. This year, the campaign for International Women’s Day focused on #BalanceforBetter. I can’t think of a better way of putting it. If every business works toward building a balanced, representative workforce with a voice, then we will all be in a better place.